Customized Designs had started on 2009 on Multiply. It provides affordable inkjet digital printing. These are some of the items I do personally… Check these out!! 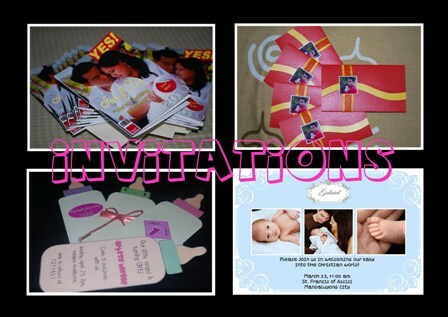 Invitations for wedding, birthday, baptism, baby shower and more! 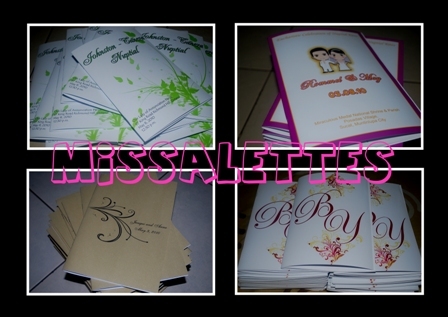 Wedding Missalette that would serve as a guide in your wedding ceremony.